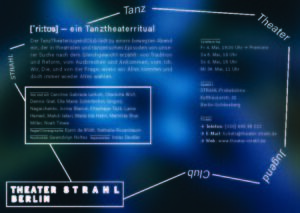 For the STRAHL.TanztheaterJugendClub I’ve developed and directed this play together with choreographer Nathalie Rosenbaum, costume designer Gwendolyn Noltes and directing assistant Jonas Deusser. 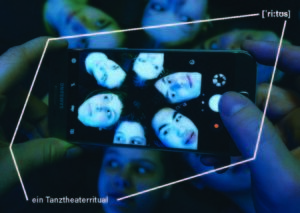 [ri:tus] is a combination of dance, text and performance Theater. It shows a group of young people that becomes more and more intense as a group through different rituals. It shows how a group with all the best intentions still falls for old routines and starts to radicalise.